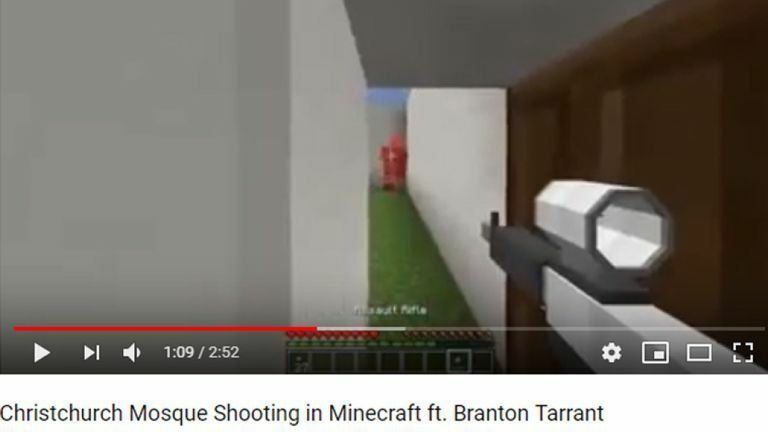 Sky News identified videos made in support of the killings, including one which recreates the attack in the children’s game Minecraft alongside others that splice the attacker’s comments into other videos. 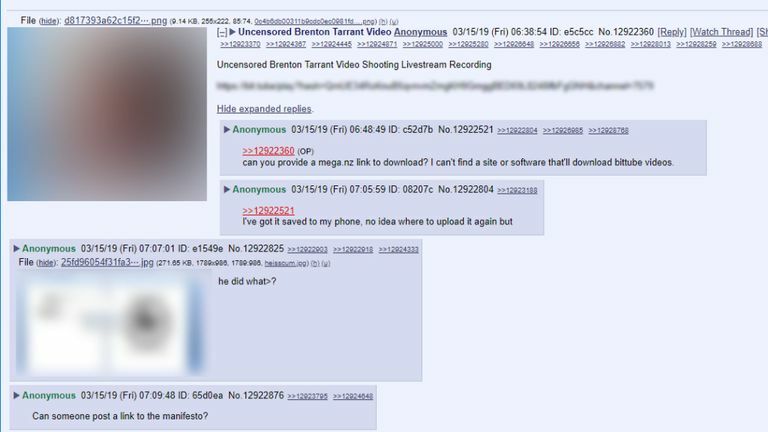 The uploads follow the attacker calling on supporters in an extreme-right web forum to “please do your part by spreading my message, making memes and s***posting as you usually do”. Speaking to Sky News after the attack, experts noted how the memes and references made in the attacker’s manifesto showed how the extreme-right was using propaganda in web culture to radicalise young people. 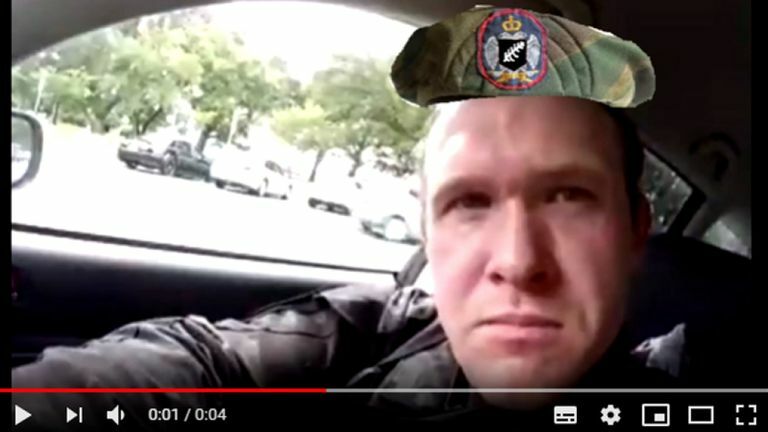 Although YouTube claimed it was “working vigilantly to remove any violence footage”, videos celebrating the massacre without showing weapons being fired or images of the dead had still been posted on the platform. A spokesperson for YouTube was unable to immediately respond to Sky News to clarify the platform’s policy but later responded by saying the videos had been removed. A report published in 2017 by the Institute for Strategic Dialogue (ISD) said extreme-right groups were using “technically sophisticated and culturally sensitive techniques… to radicalise the younger generations”. “The extreme right is making a concerted effort to weaponise internet culture in an explicit attempt to radicalise young people,” the ISD’s Jacob Davey told Sky News. “Memes are effective for quickly transferring material – it is in their nature to be shareable. This is a strategic decision to try and broadcast their ideology,” Mr Davey added. “It is difficult to monitor online activity, especially when it spans multiple online services,” said Dr Stringhini, who previously analysed extreme-right propaganda and raiding activity. “In our research we showed that it is possible to identify raiding activity as it happens, because participants will co-ordinate on a thread in the fringe community – for example 4chan’s politically incorrect board – and then launch their attacks on a mainstream platform, eg YouTube.